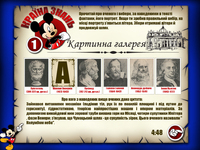 These are the examples of our work. 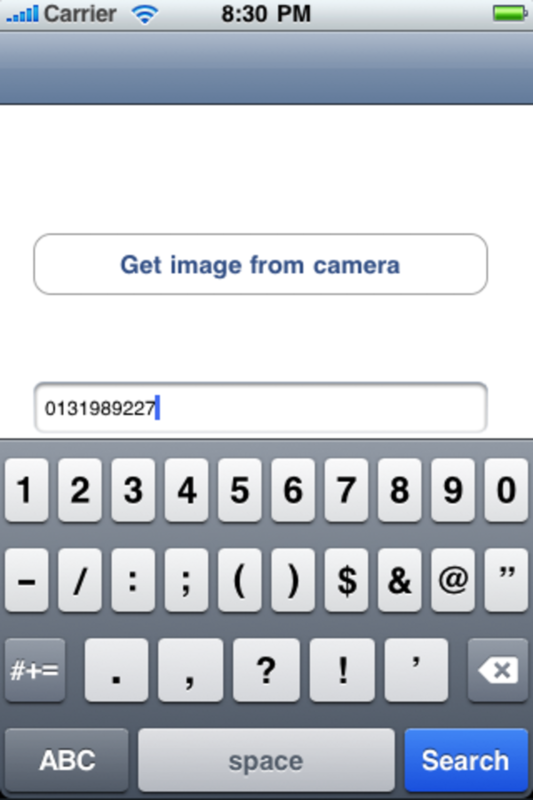 Сlick on thumbnails to view different screenshots. 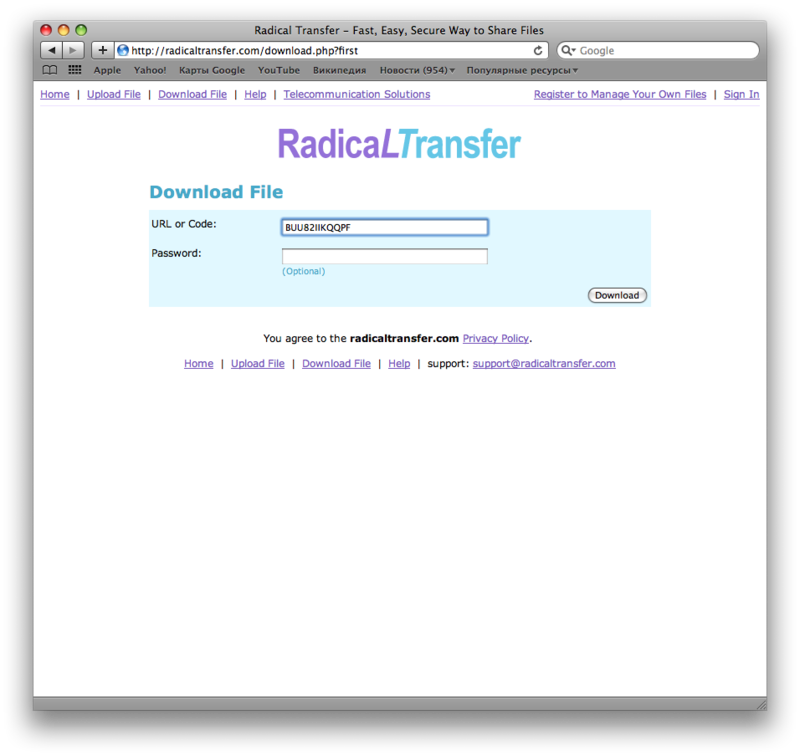 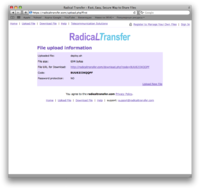 A website which allows users to upload files and optionally secure them with passwords. 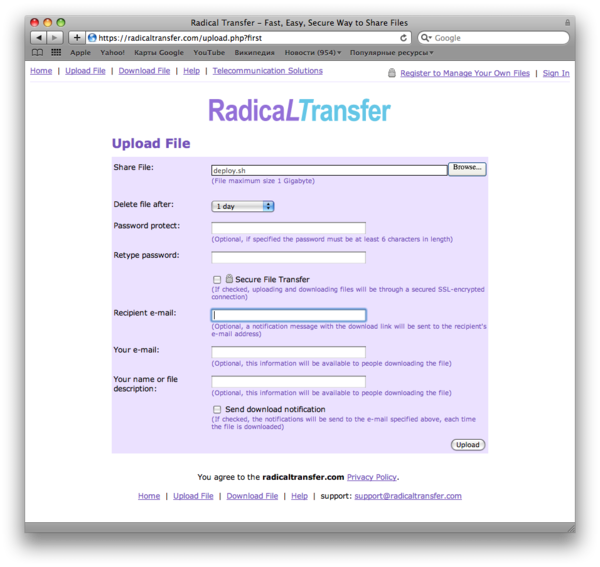 The link to the file together with password can be sent by e-mail / IM to intended recipient and used by him to download file. 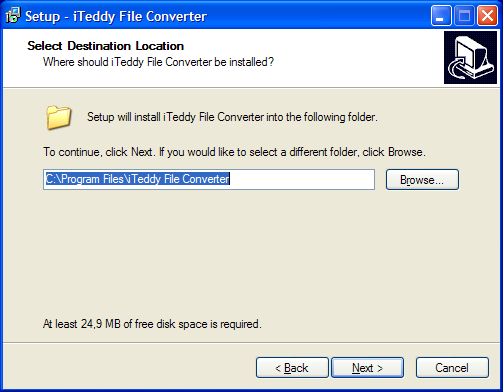 Files are erased automatically after given time period. A web application built with Grails and Dojo. 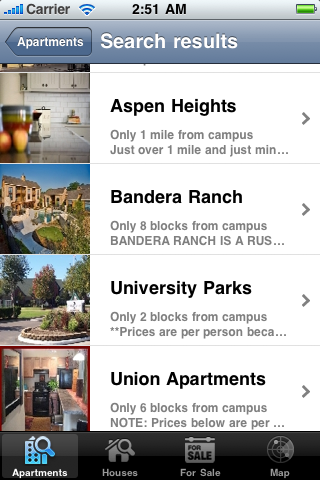 Has rich user interface done with Dojo. 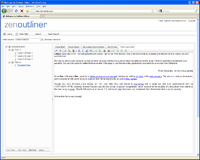 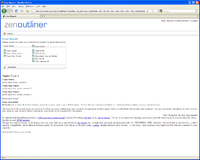 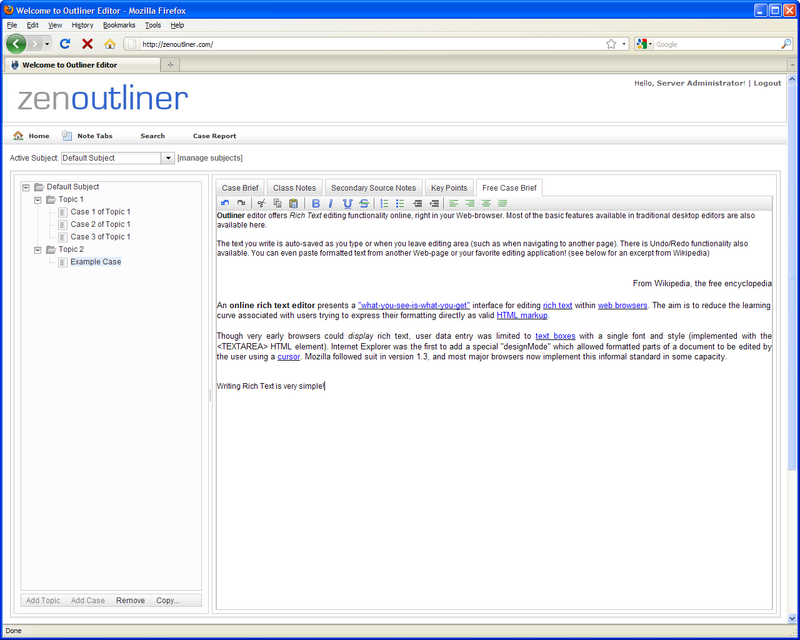 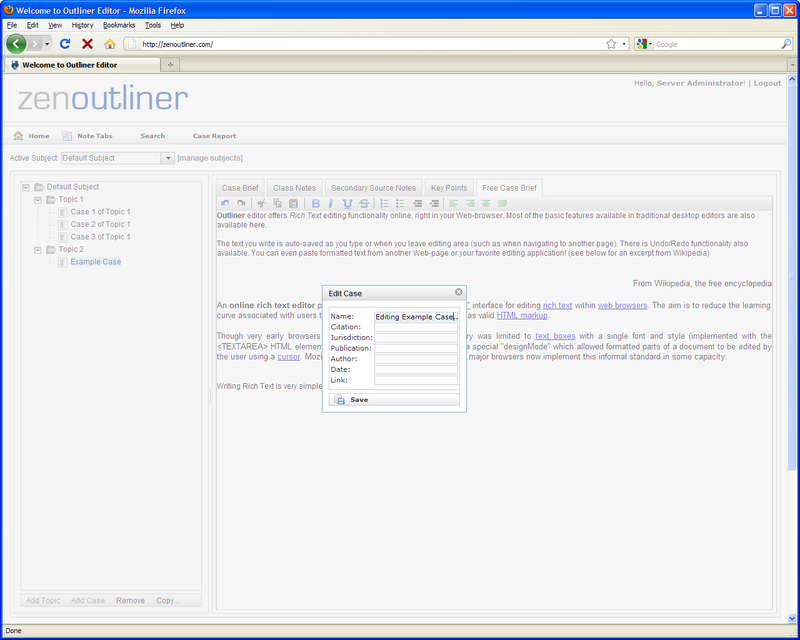 Allows to edit documents online, documents are organized in tree of folders. 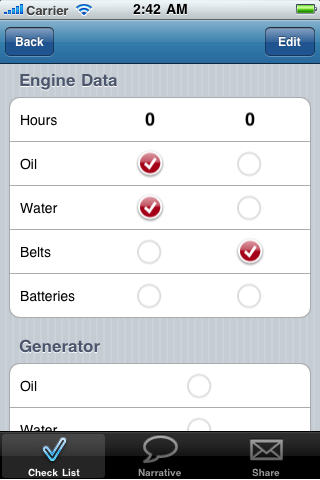 Also the functionality to search documents by keywords and to generate reports is implemented. 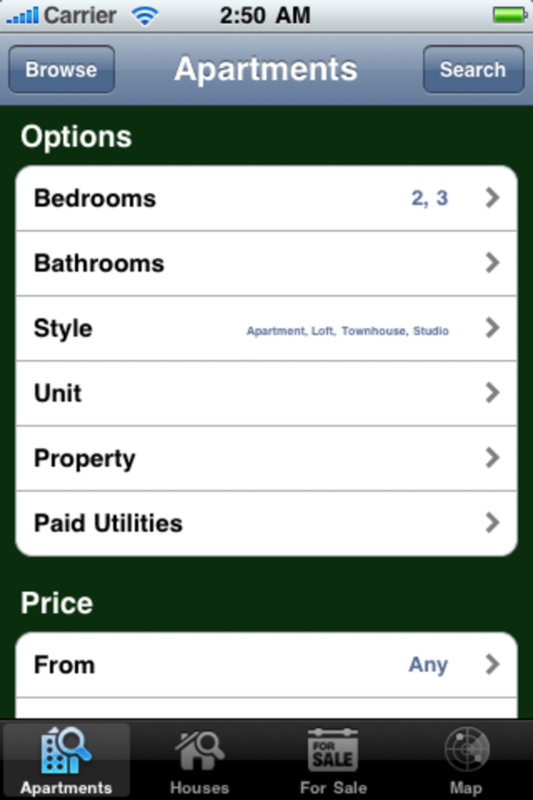 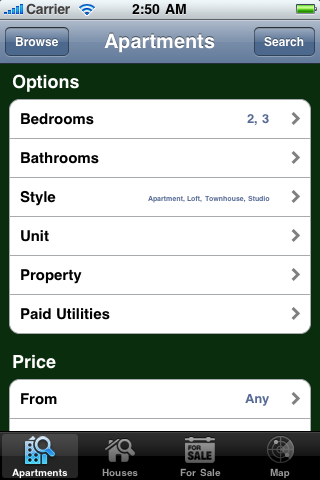 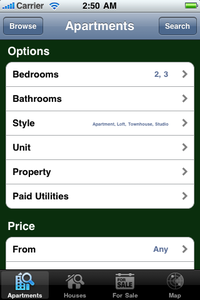 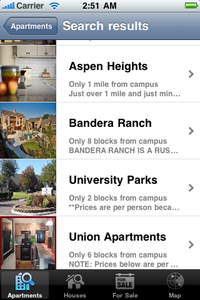 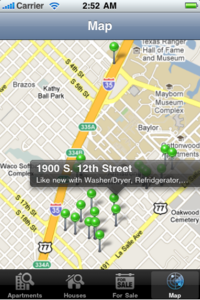 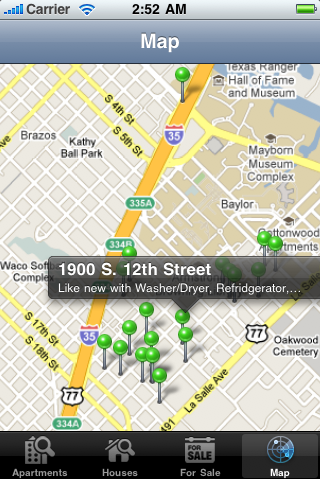 This project is an iPhone application which acts as interface to the housing search engine provided by the Bearcribs.com site. 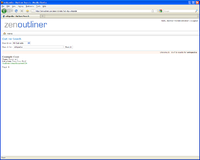 It has a simple navigation-based interface done using Three20 framework. 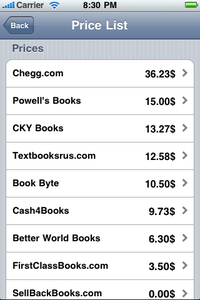 This project is an iPhone application which allows to lookup book prices quickly on BookScouter.com. 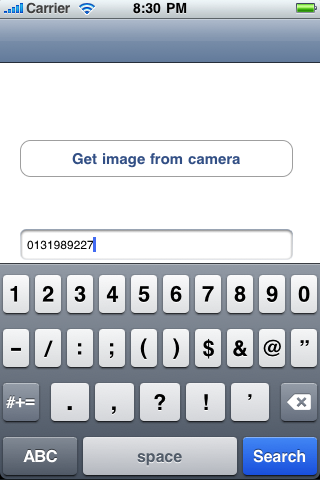 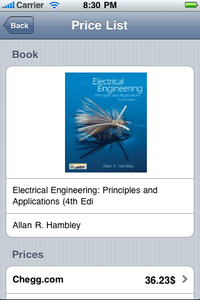 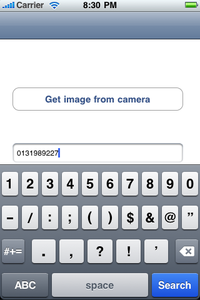 It allows user to scan book barcode with iPhone camera or enter ISBN manually. 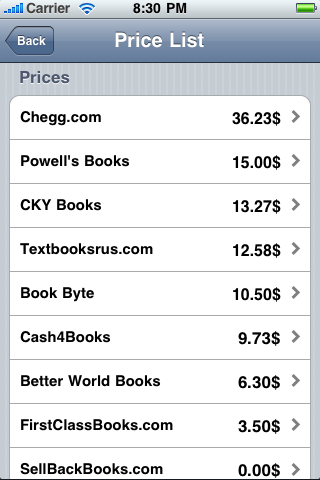 It then fetches the price data from web service on BookScouter.com. 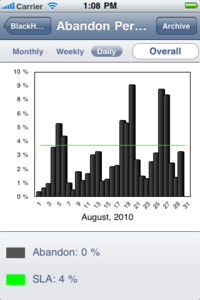 This project was conversion of different Flash dashboards into iPhone app. 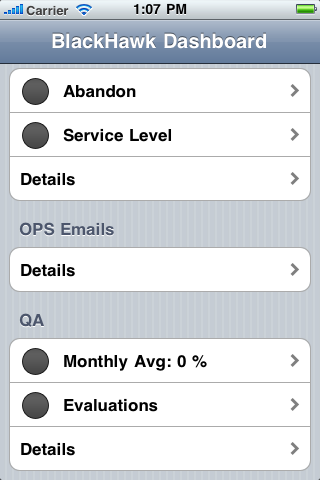 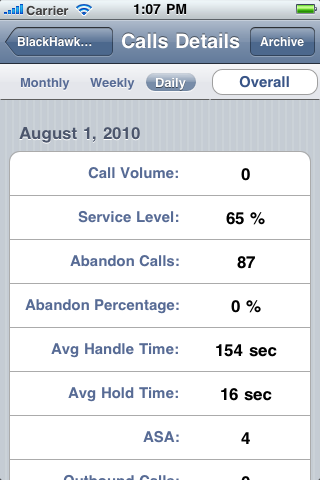 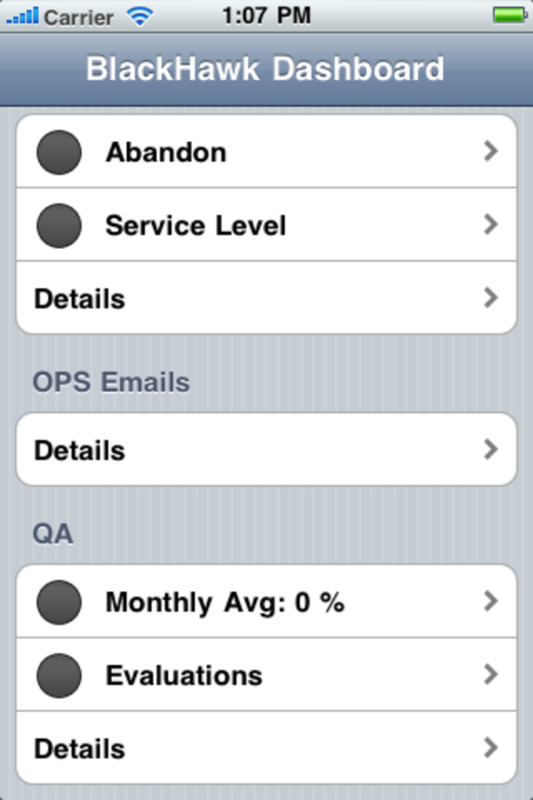 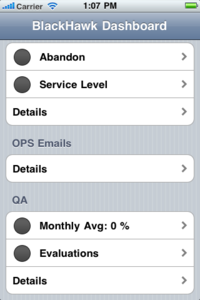 Resulting iPhone app downloads data from server, displays it in tables and draws various charts. 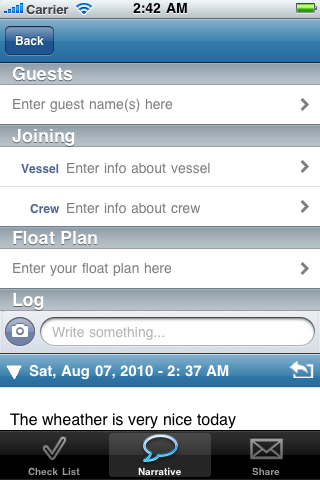 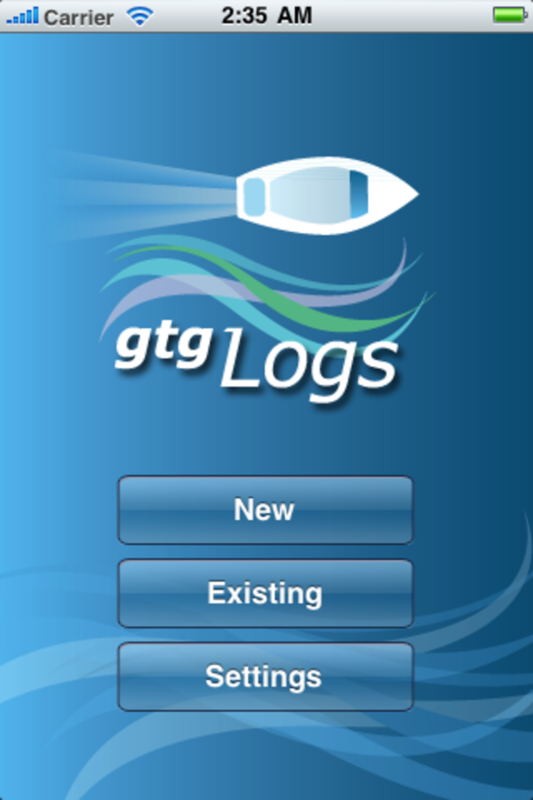 This iPhone application is a multimedia journal for the recreational boater. 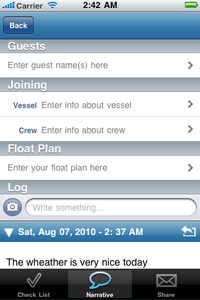 It consists of three parts, a checklist, a log, and sharing the recorded data. 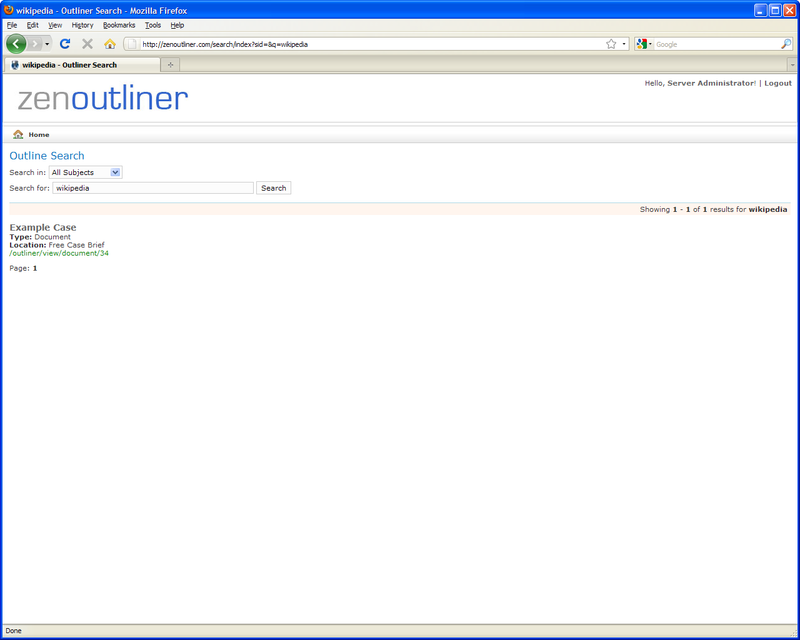 The project consisted of refactoring bad quality source code developed by other party. The app was brought into usable state and accepted into AppStore. 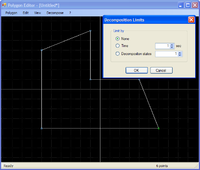 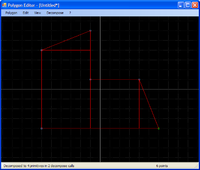 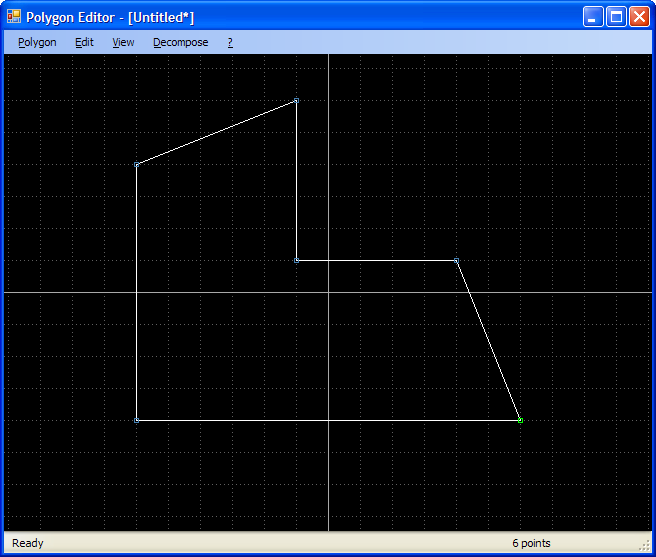 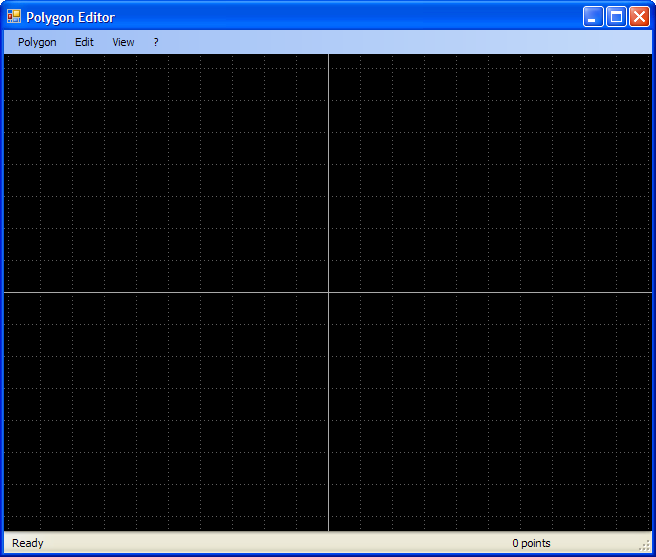 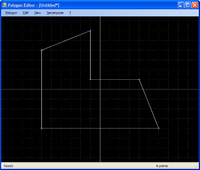 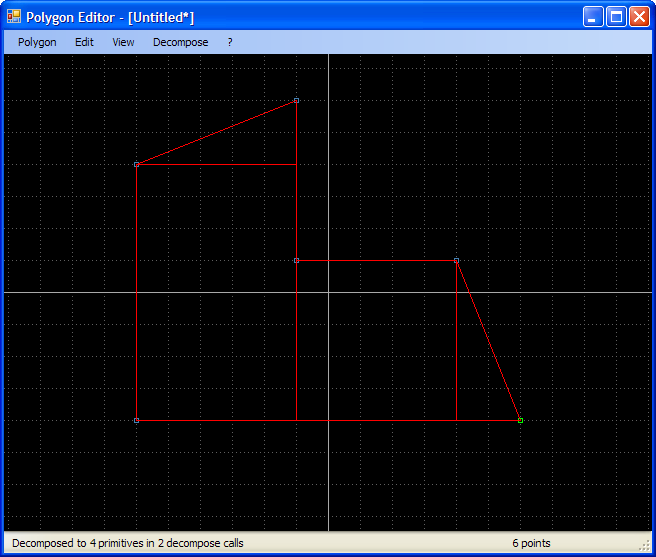 A library for creating a minimal set of 2D primitives from initial concave non-self-crossing polygon. 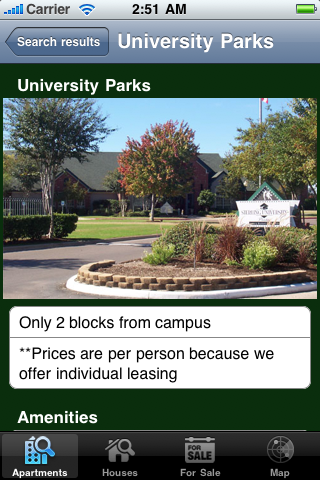 The library follows the model described here. 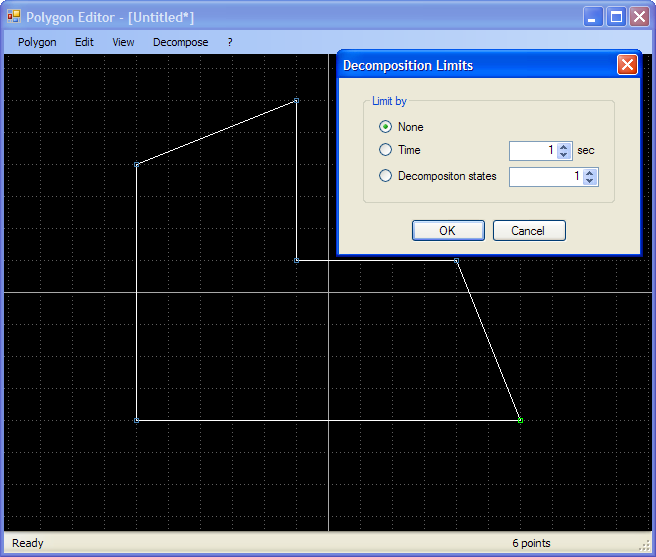 Library supports pluggable primitive types, and pluggable stoppers (which decide when thorough decomposition process should stop and switch to less computationally expensive mode). 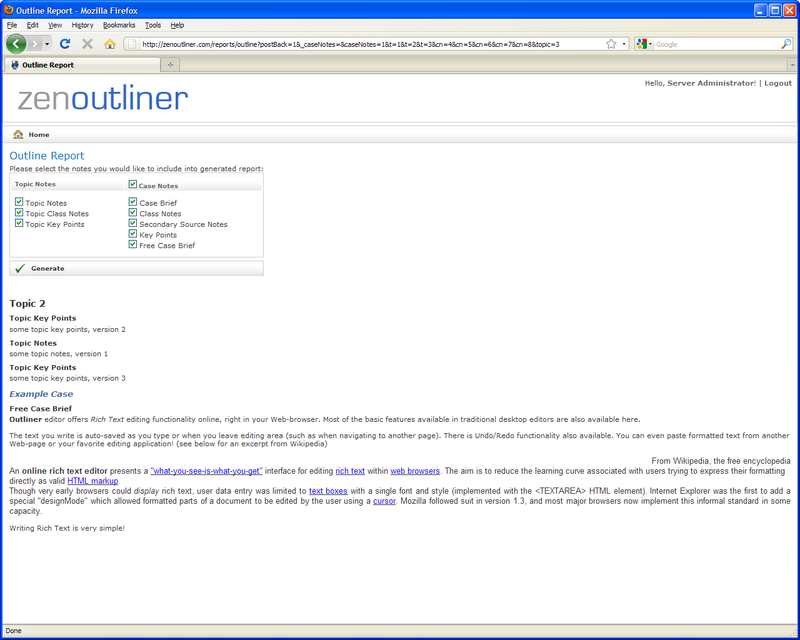 Here shown is the demo application developed for the library. 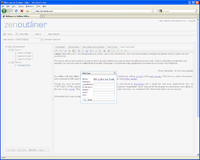 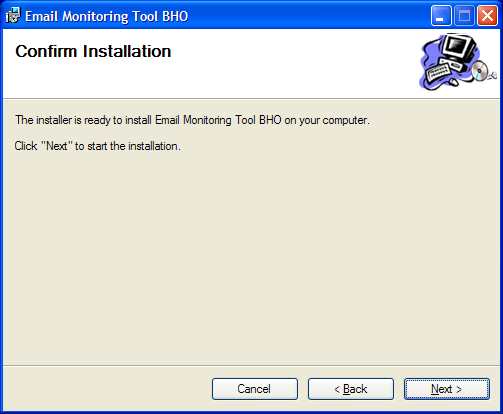 Browser Helper Object is an extension to the Internet Explorer browser. This project included development of such an extension. 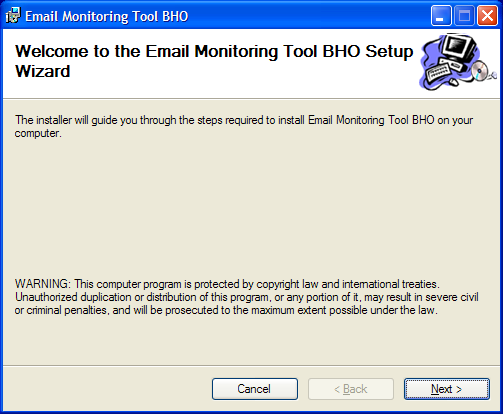 The goal was to make an extension which monitored the usage patterns of the web-based e-mail platform (Hotmail in particular). 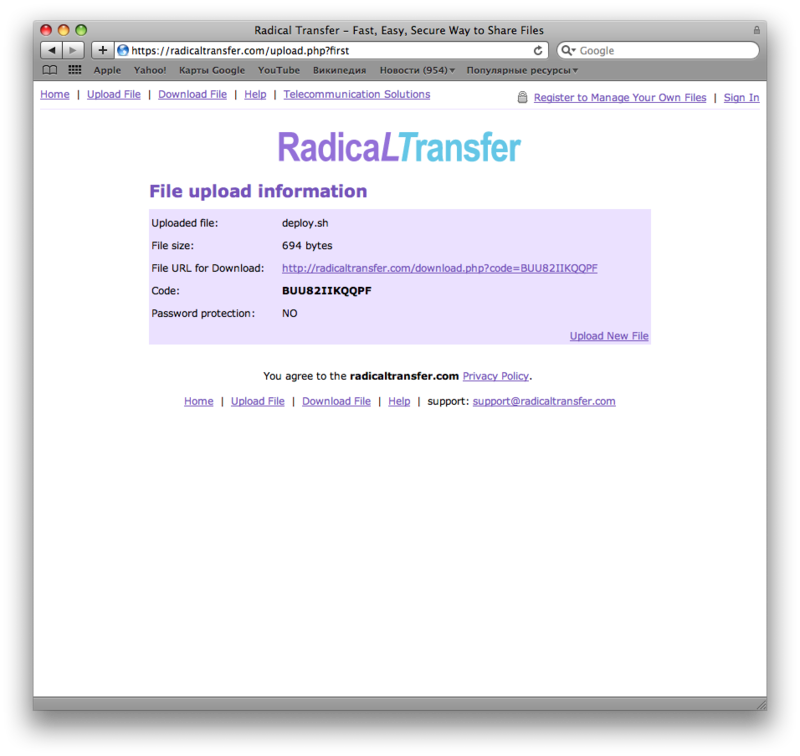 The extension gathers data and submits it to a web service. 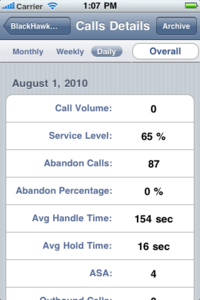 The data could then be used for usability analysis. A video conversion tool for the media player in iTeddy toy. 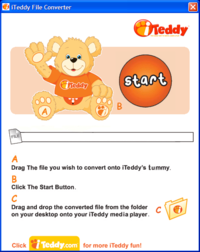 This tool has both Mac and Windows versions and allows to recode video files easily from any format to the AMV format supported by the iTeddy player. Additional functionality includes CD/DVD ripping and conversion of audio files to MP3 format. 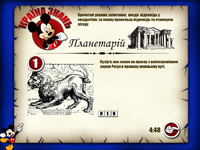 Knowledge testing application done in form of a game for children of elementary school age to test their familiarity with basic facts. 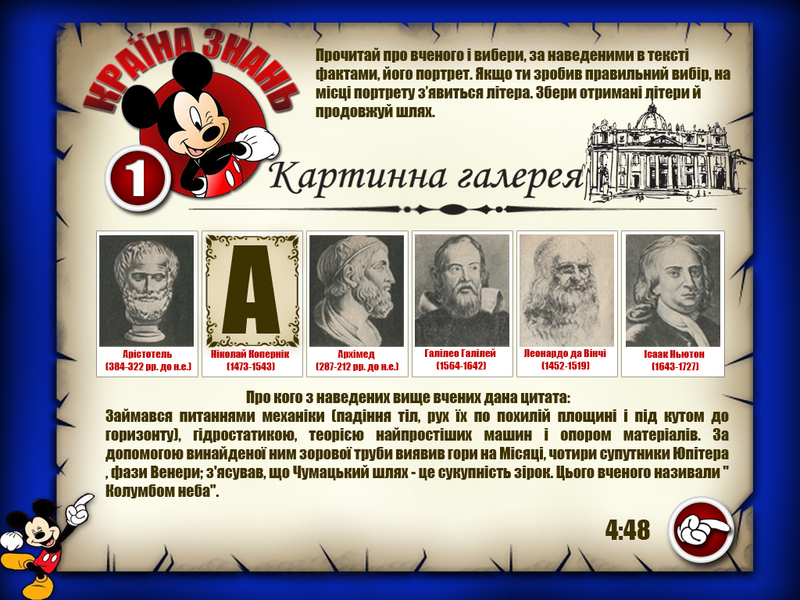 Only Ukrainian language is currently supported.